Our secret to a great client experience is working with clients we appreciate and respect, who appreciate and respect us back. Sabra’s mission is to forge long term partnerships with our clients. Part of that equation is creating a positive client experience. Design projects should be fulfilling and fun, not frustrating and stressful. Throughout the entire process we want you to have a collaborative and fun experience. To give you an idea of what you might expect when working with us, we would like to let one our own clients share their experience with you. 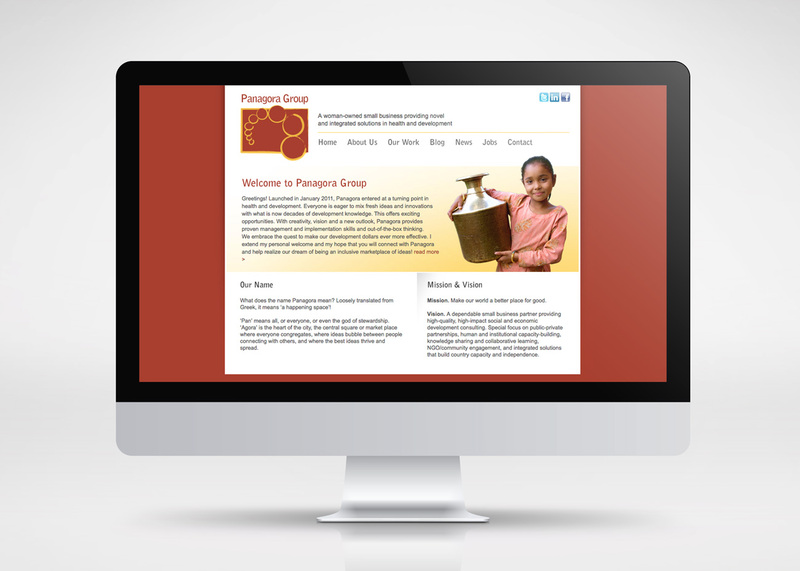 Panagora Group is a nonprofit based in Washington, DC. Their mission is to provide global health, international development, and learning services. 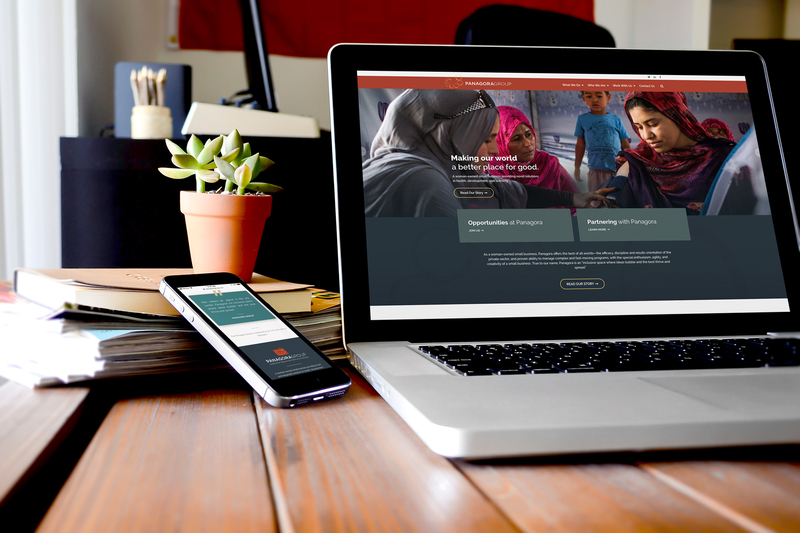 Sabra recently helped them rebrand and rebuild their website. 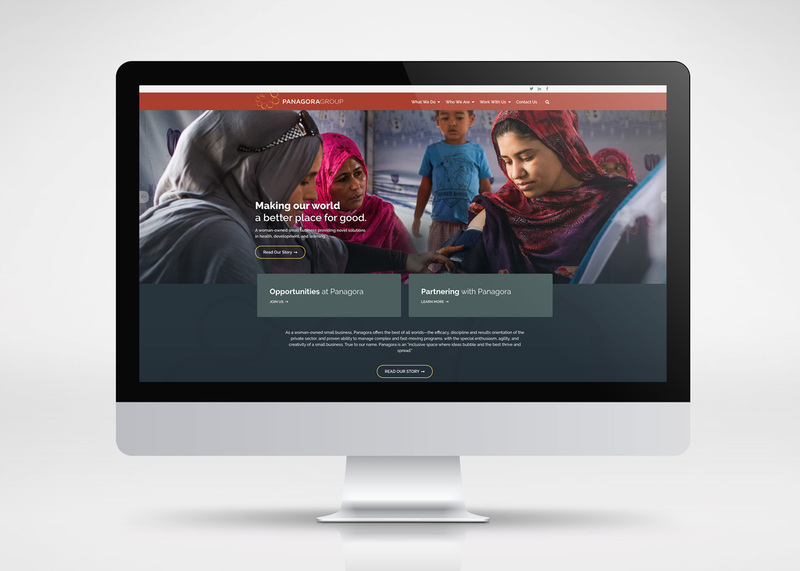 Our goal was to build a beautiful website worthy of their groundbreaking work. Our mission? To make Panagora feel empowered throughout the project and into the future. What made you choose Sabra? Chris and his team put together a proposal that showed they were really listening to our needs and addressed them in a way that was both reasonable and budget conscious while reflecting the branding goals we had outlined. We actually turned down a cheaper option and chose Sabra because we felt confident in the timeline they proposed and in Chris’ detailed production schedule, which included ample opportunities for client feedback. Also, my conversations with Chris prior to hiring Sabra were very positive and constructive. He was eager to help, excited about the project, and really listened to our needs. I also really appreciated that the timeline was well thought-through and that Chris took the time to go through it in detail. I have worked with other companies who made the production timeline details a bit of a mystery and Sabra does a great job of bringing the client into that process and communicating really well. What was your experience like working with Sabra? Sabra’s focus on design, marketing AND client experience is commendable. For me, it was all about feeling heard (and not mansplained to). Working with Chris was more like working with a collaborator and creative partner rather than a hired gun who just wants to get the job done. Brainstorming solutions with Chris and going through the feedback process in InVision. InVision is an online design feedback tool that allows our clients to click anywhere to leave feedback directly on any design, streamlining the process and eliminating endless feedback email threads. How has your new website impacted you and your team? Our old website was clunky and frustrating to edit. Plus, visually it was outdated. Now, we have a sleek, beautiful, responsive site that is easy to edit and manage. Our whole team feels really proud and energized by these updates to our look and feel. They also LOVE the jobs page and the integration with Zoho Recruit. That alone cut back 20% of the work for several people on staff. We got great feedback on our new branding, website and marketing recently at a conference and everyone on our team was just buzzing and super-motivated. That kind of impact is immeasurable. Thank you! What are your favorite features on your new website? Obviously, the responsive architecture. But also, the innovative design that helped us troubleshoot some design challenges we had before. What would you tell someone considering working with Sabra? If you value working with people who really care about your mission and goals, listen to your needs, and work collaboratively, then go with Sabra. We would love to get to know you, too. Tired of the usual vendor experience? Schedule a call, we look forward to hearing from you!